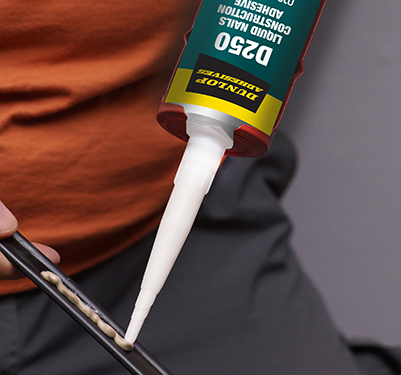 A high bond strength, solvent based liquid nail adhesive, specially formulated to eliminate the need for nails and screws in construction. Dunlop D250 is a solvent based liquid nail adhesive, specially formulated to eliminate the need for nails and screws in construction. 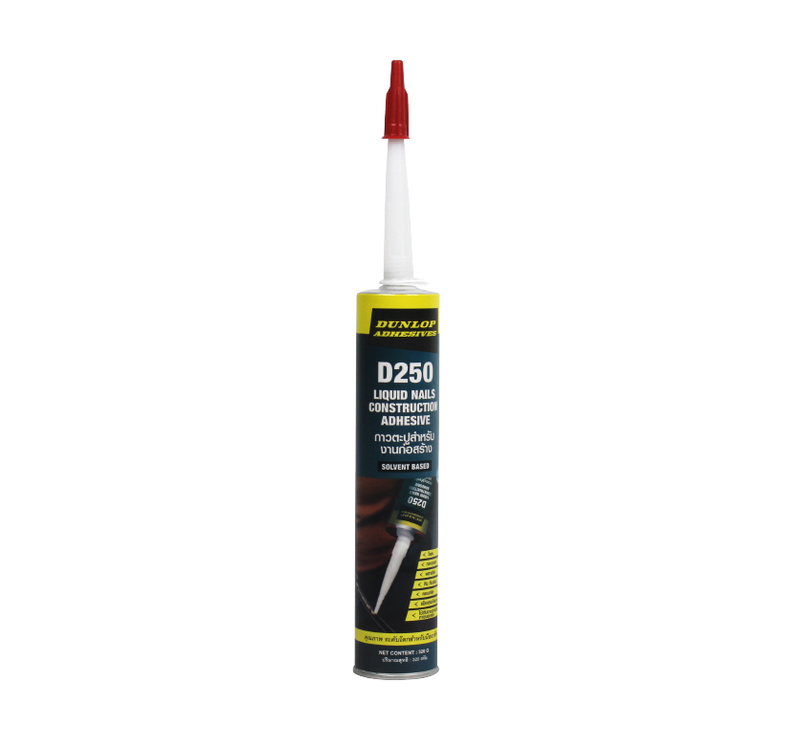 It is ideal for bonding substrates such as mirrors, marble worktops, border profiles, and metal. The unique formula means that it is faster and easier to gun, does not slump or run and is less stringy, eliminating mess at the end of a job and allowing easier clean up. 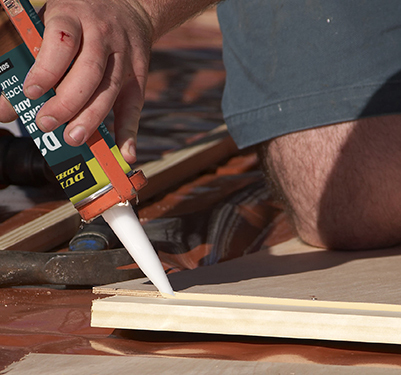 It is a high strength adhesive with quick drying and low odour properties suitable for indoor and outdoor use. 1. Cut off the tip of the cartridge nozzle to the required angle and bead size. 2. Pierce the membrane inside to open the seal. 3. Screw the nozzle onto the cartridge and insert into a caulking gun. 4. Ensure surfaces are free from dust, dirt and grease. 6. Bond the substrates firmly together. Clamp large or heavy objects for additional support until the adhesive fully cured. 7. Leave to dry for at least 24 – 48 hours.